Hallelujah - The New City of David Night Show!! 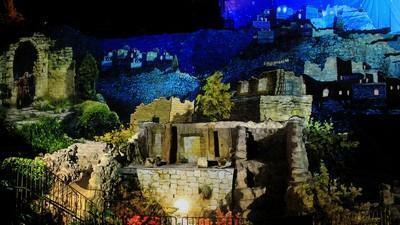 Using advanced video-mapping technology, never before seen in Israel, the City of David presents the epic story of our return to rebuild Ancient Jerusalem, on the very stones where the story unfolded. 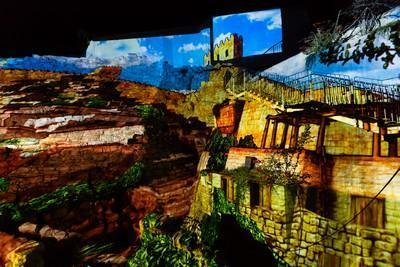 This cutting-edge presentation, projected onto the ancient ruins of the City of David against the backdrop of the Old City wall, features a rich narrative, vivid graphic animation, and a moving sound track, all coming together to create an unforgettable multi-sensory experience! Under the night sky of Jerusalem, the audience will sit amidst the stunning backdrop of the City of David, the Old City, the Mount of Olives, Mount Zion, and the King's Valley.